Law enforcement agencies from across the U.S. have reached out to Jalopnik for help with car identifications since your input was "critical" to solving a hit-and-run earlier this year, among others. Today, tipster Dustinsrock asked us to post about a tragic hit-and-run to "see if we can find the terrible people" who killed a young boy leaving a Christmas party. The victim's name: Kevin Miller, who was a kindergartener likely looking forward to what Santa was going to leave under the Christmas tree in his Pennsylvania home. Kevin was leaving a family Christmas party with his parents and two brothers (one of whom was his twin) the night of Dec. 21. Crossing the street, Kevin's hand was in his father's, according to his family. He was about to step on the curb — the last of his group to do so — when he was struck by a red car which took off. Police officers performed CPR on the young boy. It didn't work. Kevin died. He was five years old. The Wilkes-Barre Citizens Voice newspaper ran a story today, as the boy's family spoke publicly about their loss. In it, Kevin's uncle thanked police for their ongoing efforts, and pleaded for whatever level of closure comes from assigning a name to a hit-and-run vehicle. They weren't alone. "Tragic does not begin to describe this incident. We have all been affected personally by the Miller family's pain," Wilkes-Barre Mayor Tom Leighton said in a statement. "The men and women of the Wilkes-Barre Police Department are working around the clock to identify the driver of the suspected vehicle. 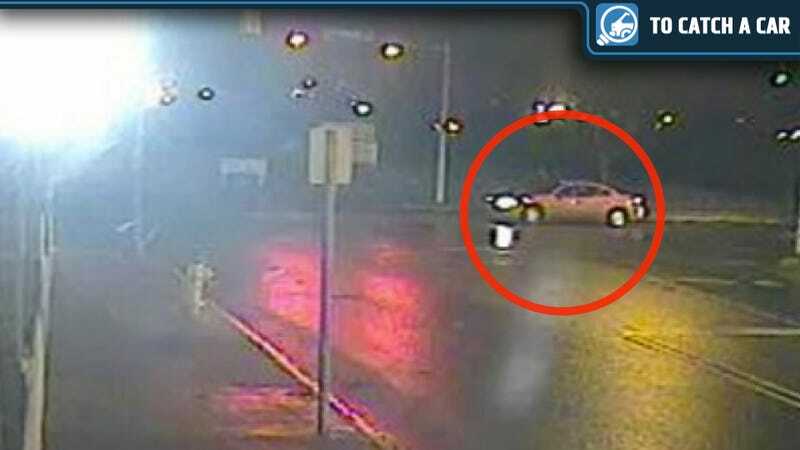 Police provided an image of what they believe to be the hit-and-run vehicle. Initially, they thought it was a red, four-door Pontiac with a sunroof or moonroof. However, "authorities are now unsure of the vehicle model." Which is why it's time for you trusty Jalopnik commenters to get into the mix (and no, this isn't the first Wilkes-Barre case we've brought to you; this is). Is it a Pontiac? Something else? Anything you can do to change unsure to sure would be greatly appreciated.